All too often, children repeat undesirable behaviors. 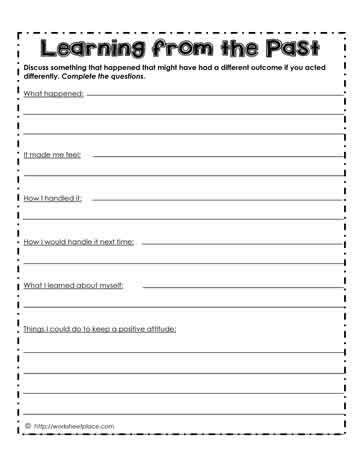 This worksheets requires them to focus on themselves and determine what they might have done differently. Behavior change takes times, it also means understanding and learning from inappropriate actions. Nobody likes to admit when they're wrong. Focus on what could you do next time or how would you feel in this situation?